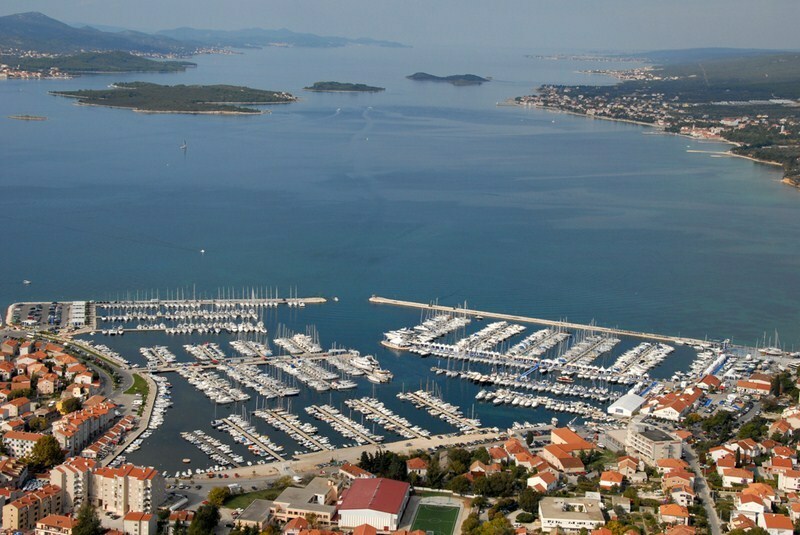 Biograd has 2 marinas: Marina Kornati and Marina Šangulin. 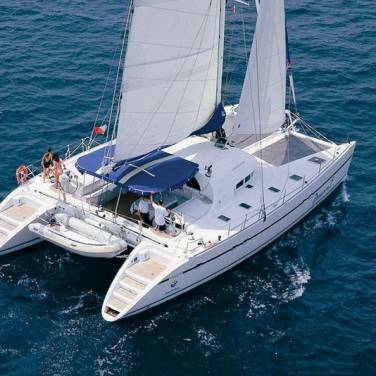 Marina Kornati (43º56’30” N; 15º26′,32” E) is situated in the city of Biograd na Moru, between the cities of Split and Zadar, and it presents the ideal starting point for yacht cruises discovering the Kornati islands. Due to the vicinity of two national parks (National Park Kornati and Krka National Park) and natural beauty of the environment, Biograd is an astonishing destination. The marina streches to 39,688 m2 of land and over 91,912 m2 of sea and it consists of three marine zones: central, western and southern maritime zone. Marina Kornati comprises of 750 berths on 15 docks, all supplied with water and electricity connections. The entrance to the marina is 40 m wide, while the sea depth is up to 6.5 metres. The marina has a lot of space for servicing the yachts and can accept yachts up to 23 m. Marina Kornati is open during the whole year. Reception desk with exchange office, secured parking lot with 700 places, restaurant, coffee bar, toilet facilities, laundry, service zone with travel lift and landfill for hazardous waste, Wireless internet. The marina is famous for its Biograd Boat Show held in October every year, as well as the Biograd yacht club organizing different nautical events such as sailing schools or regattas. Zadar international airport is located only 20 km far from the marina, while Split airport is 120 km away. Situated in the middle of the Adriatic coast, Biograd has excellent bus connections with other cities of Croatia and European countries such as Switzerland, Czech Republic, Germany, Austria, Italy, Slovenia and more. There is a ferry line from Italy to Zadar. Distances: Zagreb 290 km, Trieste 330 km, Graz 550 km, Budapest 660 km, Wien 750 km, Milano 730 km, München 830 km, Bratislava 850 km, Prag 1050 km, Berlin 1420 km, Paris 1730 km. 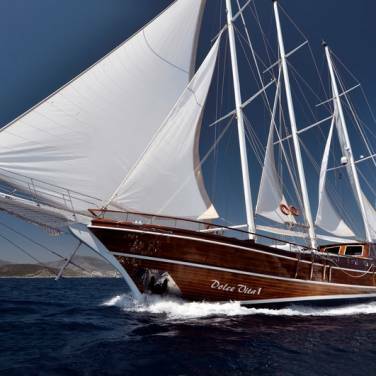 Marina Šangulin (43°56’N , 15°27E) is situated in the natural bay of the peninsula of Biograd n/M, sheltered from all winds. At the mere entrance to the Kornati National Park, this marina disposes of 200 berths, all supplied with water and power connections. The marina can accommodate yacht for up to 80 meters eventhough it is great for middle size yachts. It is open all year round. Camping area with mobile homes, sanitary facilities, supermarkets, restaurants, post office, pharmacy, yacht service area, gas station. 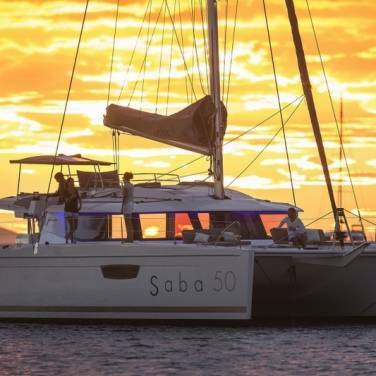 Zadar airport is located 20 km away and Split airport is 120 km far from the marina. Biograd has good connections with other cities of Croatia and the world. Regular bus lines exist to almost all nearby European countries, while ferry services from Italy are only possible to neighbouring Zadar.